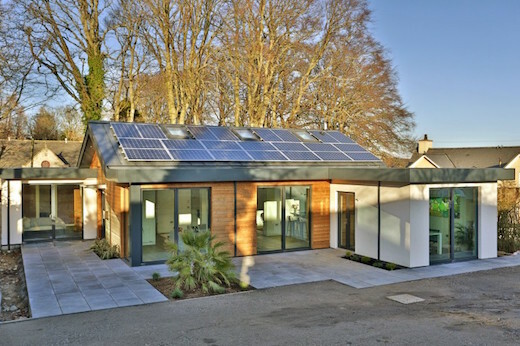 The so-called Schoolmasters is a sustainable prefab home, which was recently built near Aberdeen, Scotland. It was constructed following the strict Passivhaus guidelines, though they did not seek the actual certification, because they wanted more freedom in designing it. Most of its energy needs are met by harvesting renewable energy sources. It also features a monitoring and controlling system for regulating the heat and lights via a smartphone or tablet app. The home was designed by architect Stuart Duncan. Schoolmasters is a single story home, which measures 2,098 square feet (195 square meters. 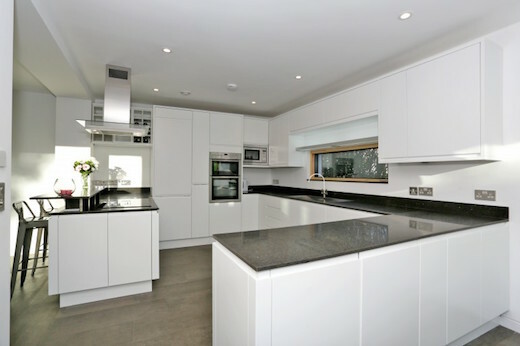 The downstairs area is comprised of a lounge, dining area, kitchen, bathroom and office, while the first floor contains four bedrooms and two bathrooms. The home is connected to the grid and municipal water supply, but, according to the architects, most of the needed energy to power the home is obtained from the rooftop mounted 5.5 kW PV array which can produce 4,400 kWh of energy. Schoolmasters was finished in October 2014, so actual annual performance numbers are not yet available. However, the architects are pretty certain it might be possible to run the home off-the-grid. The energy produced by the PV array that is not used for lighting and other electrical appliances is diverted to heat the domestic hot water. 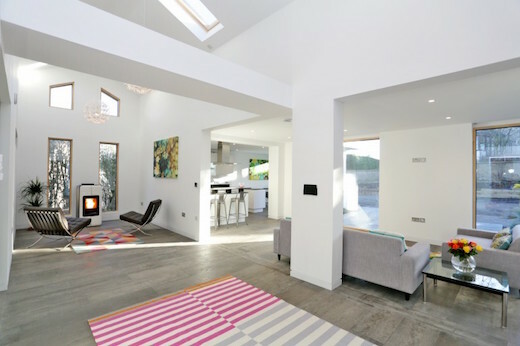 The home is equipped with a pellet-burning stove, which is also used to provide hot water. 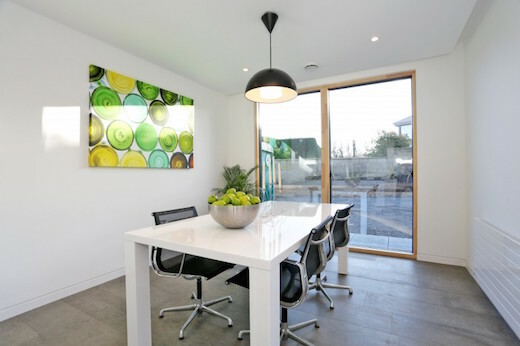 The home was also fitted with triple glazed windows with a special solar control coating to prevent overheating, which help to maintain the temperature in the house. 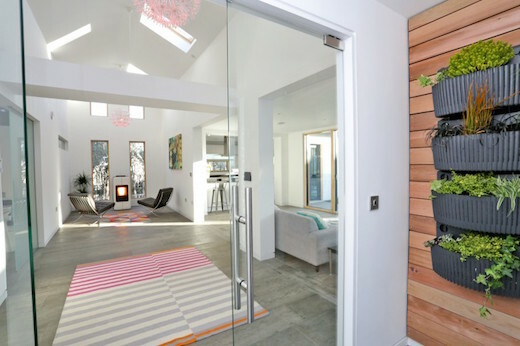 Apart from the underfloor heater for the bathroom, the home is, according to the architect, capable of maintaining a pleasant temperature without the need for heating during much of the year. To make the statement “did not seek the actual certification, because they wanted more freedom in designing it” clearly indicates that the proceeding statement “It was constructed following the strict Passivhaus guidelines” is incorrect. If they did follow the “strict guidelines” then it would have been possible to certify!